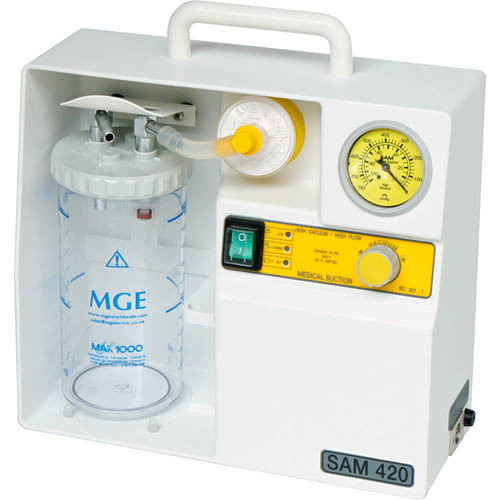 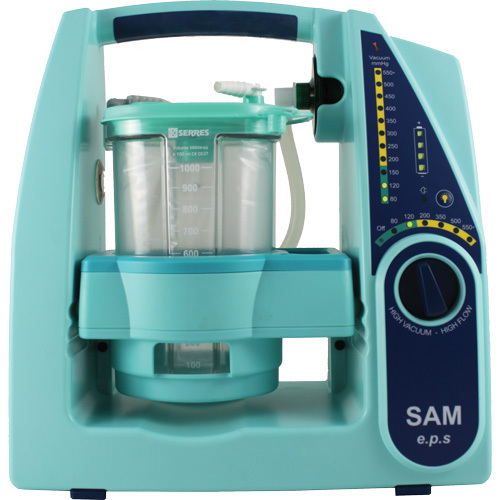 The SAM 420LX aspirator is a lightweight suction unit designed for portable/emergency use. 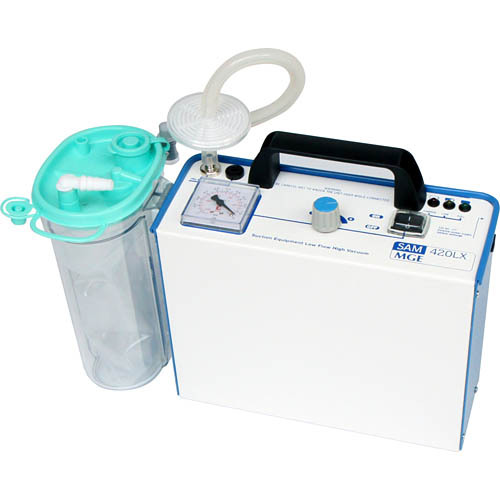 The unit provides high flow, high vacuum and is ideal for out-patient and community use. 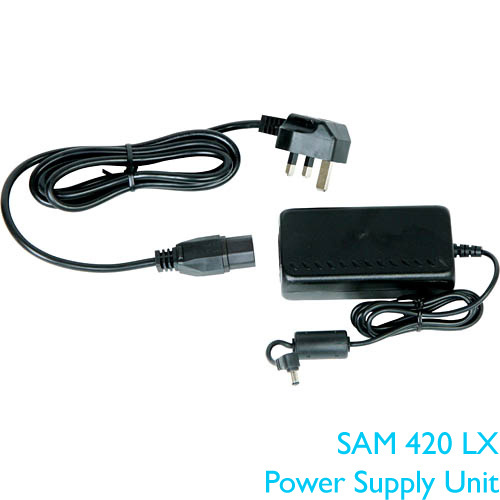 The SAM 420LX can be run from mains power or from an internal rechargeable battery and comes complete with its own carry case and charger.